CANCELED DUE TO INSUFFICIENT REGISTRANTS. $10 donation to ARROAutism to help cover costs. Scholarships are available through ARRO for families experiencing financial hardship. 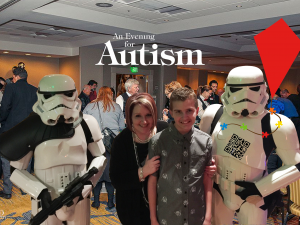 Please contact ARRO at kathyh@arroautism.org or 503-351-9255 regarding the scholarship prior to the event. Number of attendees is limited. Register by sending an email with name, contact info to Jenell Streeter (autismcct@yahoo.com). What is Collaborative Problem Solving (CPS)? How can CPS be implemented at home and school? How can CPS impact school improve social skills, communication, and self advocacy? How can CPS be addressed in an IEP? No child care is available at this time. This entry was posted in Calendar, Lecture, News and Updates, Social Groups, Support Groups, Westside Family and Community Center. Bookmark the permalink.